Superstar Rajinikanth's Kaala is yet to be released. But, the movie has already earned a massive Rs 230 crore through its theatricals and music rights. Kaala has earned Rs 155 crore from theatrical rights, Rs 70 crore from broadcast rights and Rs 5 crore from music rights. Megastar Rajinikanth's Kaala is yet to be released. But, the movie has already earned a massive Rs 230 crore through its theatricals and music rights. Kaala has earned Rs 155 crore from theatrical rights, Rs 70 crore from broadcast rights and Rs 5 crore from music rights. Among the states where Kaala earned higher revenue from theatricals rights are Tamil Nadu Rs 70 crore, Andhra Pradesh Rs 33 crore and Kerala Rs 10 crore. The overseas theatrical rights have been sold at Rs 45 crores, the Hindustan Times reported. 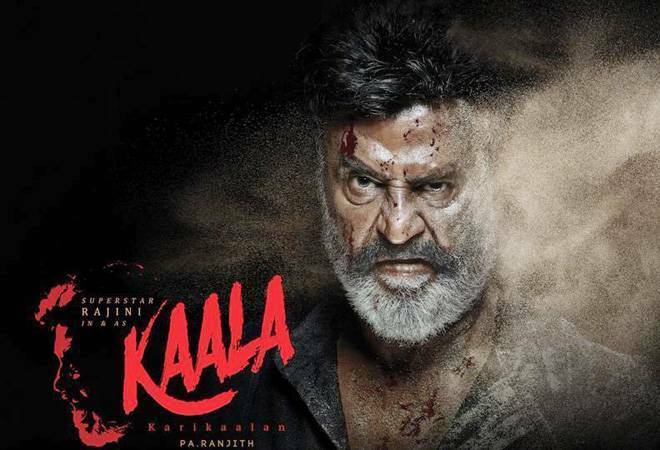 According to reports, Kaala was made on a budget of Rs 140 crore and if the ban sustains in Karnataka, then the film makers will suffer a gross loss of Rs 15-20 crore. Kaala is expected to do well since it will be released in Tamil, Telugu, Malayalam and Hindi. Rajnikanth's recent movies such as Kabali, Enthiran, Sivaji have all touched Rs 100 crore. While the box office collection of Kabali is under dispute, it is estimated to have earned more than Rs 600 crore worldwide. Enthiran also raked in around Rs 290 crore. Rajinikanth-starrer 'Kaala' is set to hit the screens tomorrow. However, Karnataka Chief Minister H D Kumaraswamy on Tuesday requested the distributor of the film to defer the release of the movie. The Chief Minister's statements came after several pro-Kannada outfits threatened to stall the film over the actor's reported remarks on the Cauvery row involving Karnataka and Tamil Nadu. Not only pro- Kannada organisations, but the Karnataka Film Chamber of Commerce (KFCC) is also upset with Rajinikanth over his comments on Cauvery water issue. KFCC is miffed with Rajinikanth's reported comments that whichever government comes to power in Karnataka should implement the Supreme Court order on Cauvery water sharing in toto. The Karnataka government had earlier banned the movie, but the High Court on Tuesday directed the state government to provide necessary security for peaceful release of Kaala. Despite the controversy, Rajinikanth is confident that Kaala would be appreciated by the Telugu audience as well. Rajinikanth recently said he is lucky to get equal love from the Telugu viewers. "There was a break in his film career in Telugu after he did about 15-20 films, but it resumed with actor-producer Mohan Babu's Telugu film 'Peda Rayudu' in the 1990s," he added. Rajnikanth's Kaala banned in Karnataka: What's going on?